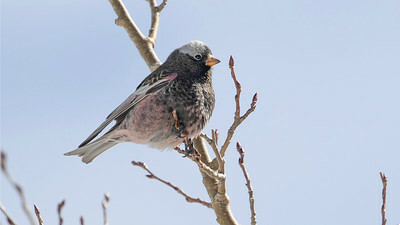 ...this Black Rosy-Finch, which is the darkest of the rosy-finches. 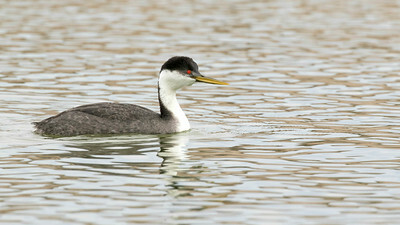 Both photos by guide Cory Gregory. 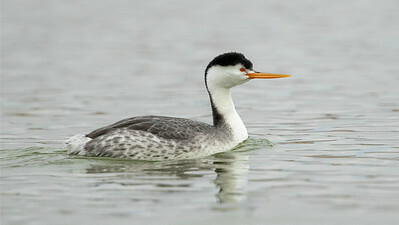 ...the bright, orangish-yellow bill, white surrounding the eye, and the paler flanks of a Clark's Grebe in this image by guide Cory Gregory. 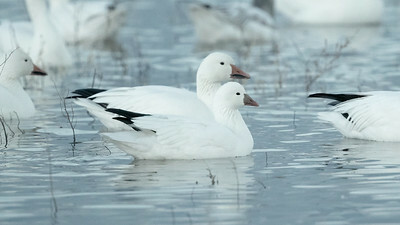 In this comparison a smaller and stubbier-billed Ross's Goose is superimposed in front of a larger and heavier-billed Snow Goose. The reduced or absent "grin patch" on the bill and the more rounded crown of the Ross's Goose are evident as well in this photo by guide Cory Gregory. 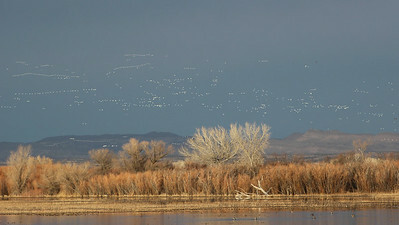 A combination of immaculate white Snow and Ross's geese punctuate the darkened sky above Bosque del Apache National Wildlife Refuge in this image from participant Leslie Crocker. 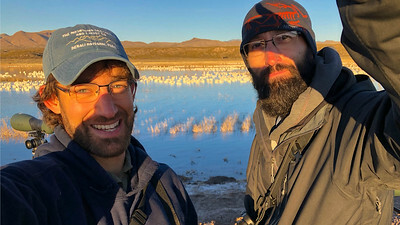 Here are guides Doug Gochfeld (l.) and Cory Gregory in front of another of the various geese concentrations...the light was just beautiful! 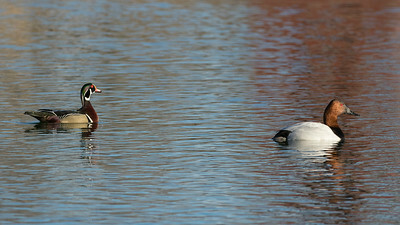 A drake Wood Duck and a drake Canvasback square off in the the final round of North America's most handsome duck pageant. Photo by guide Doug Gochfeld. 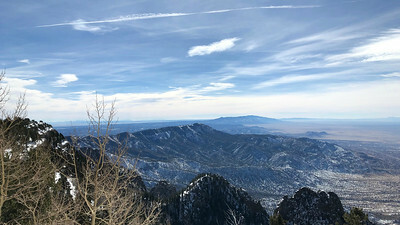 This was the sublime view from atop Sandia Crest, where we had the special opportunity to study all the rosy-finch taxa in hand! Photo by participant Mary Lou Barritt. 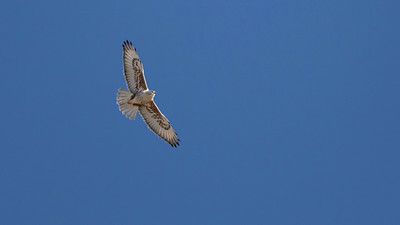 The pinched "hands" (outer flight feathers) and dark leggings are distinctive field marks on this light-morph Ferruginous Hawk. Photo by guide Cory Gregory. 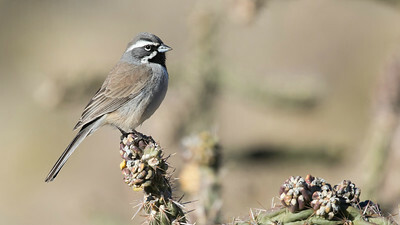 Black-throated Sparrows are migratory in the northern part of their range but tend to be resident in the southern part. Photo by guide Doug Gochfeld. Spinning around to the other side of the globe, let's check out some highlights from our Thailand tour. 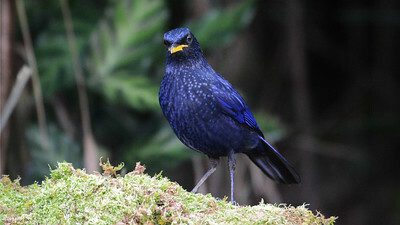 The yellow bill of a Blue Whistling-Thrush really pops against the deep, rich indigo plumage. Photo by participant Bob Sprague. 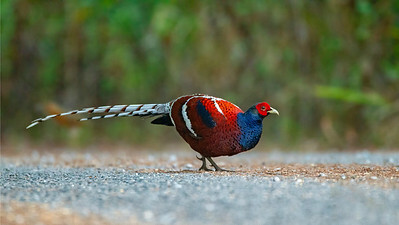 We were thrilled to see this stunning Hume's Pheasant out in the open. Photo by participant Benedict de Laender. 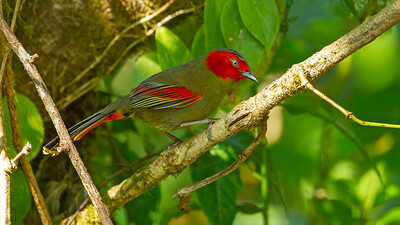 Seeing a Scarlet-faced Liocichla (confined to SE Asia and southern China) this well was a real treat. Photo by participant Benedict de Laender. 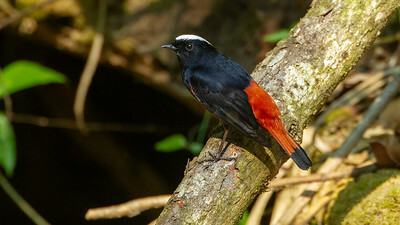 The lovely White-capped Redstart is an Old World Flycatcher, not at all related to American Redstart. Photo by participant Benedict de Laender. 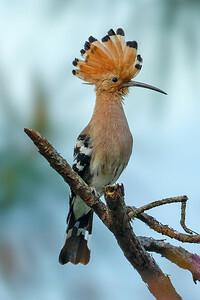 Eurasian Hoopoe has to be one of the most recognizable species on the planet. 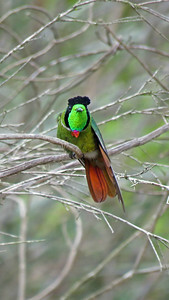 Photo by participant Benedict de Laender. 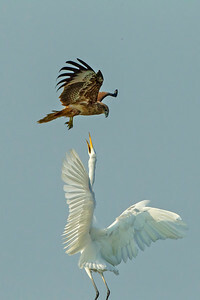 This Brahminy Kite got a little too close for comfort for this Great Egret. Participant Benedict de Laender shared this dramatic scene. 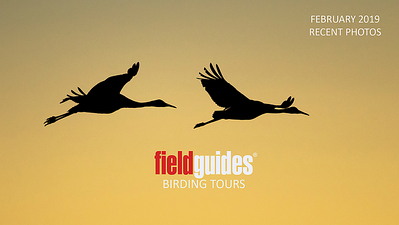 The clean white underwings help separate these Black-tailed Godwits from Hudsonian Godwits, which have black wing linings. Photo by participant Bob Sprague. 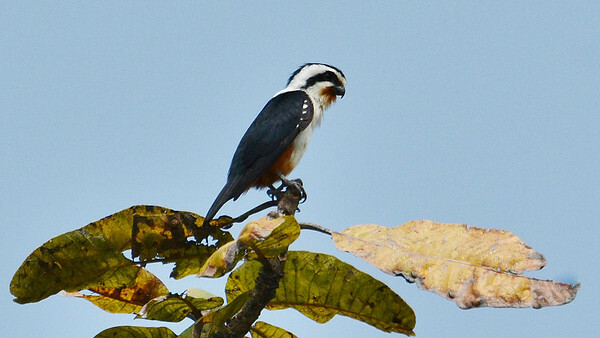 The diminutive Collared Falconet primarily preys upon aerial insects like dragonflies. Photo by participant Bob Sprague. Next up are images from our Nowhere but Northeast Brazil tour. 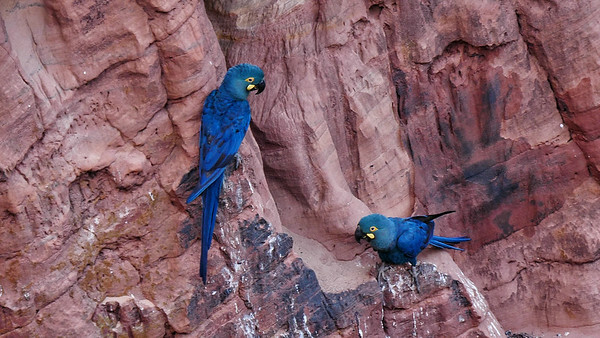 The beautiful red-rock canyon that is Raso da Catarina is the principal breeding site for the endangered Indigo (or Lear's) Macaw. Photo by guide Bret Whitney. 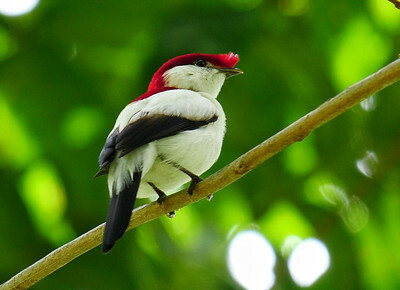 Catching up to the extremely range-restricted and brilliantly colorful Araripe Manakin was a tour highlight. Photo by guide Bret Whitney. Participant Merrill Lester caught the lighting just right to showcase a Hooded Visorbearer in full iridescence. 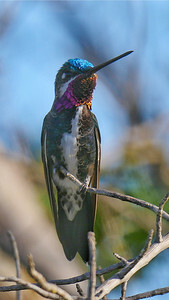 How many scintillating shades can you see on the head of this Stripe-breasted Starthroat? Photo by guide Bret Whitney. 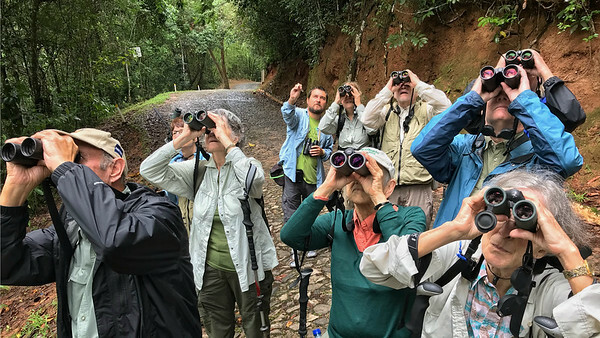 We keep receiving wonderful feedback from all of you who have traveled with new guide Marcelo Barreiros, who has a busy slate of 9 tours in 2019. Here he is pointing out a bird from the back of the group. Photo by guide Bret Whitney. 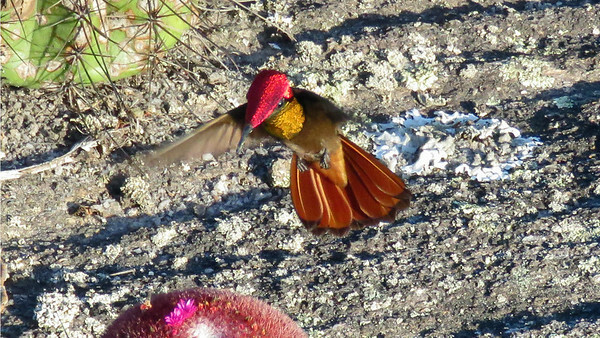 We caught up to a number of gorgeous male Ruby-topaz Hummingbirds on this tour. 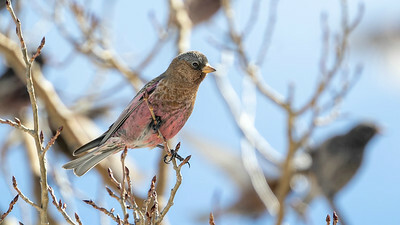 Photo by participant Merrill Lester. 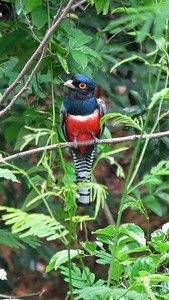 One of the nice things about trogons, like this Blue-crowned, is they hold a perch for a long time. If you can spot them, you usually get to enjoy a prolonged view. Photo by participant Merrill Lester. 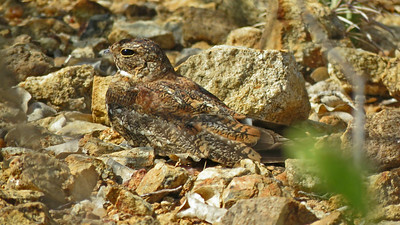 Camouflage is the name of the game if you are going to roost in the open like this Least Nighthawk. Photo by participant Merrill Lester. 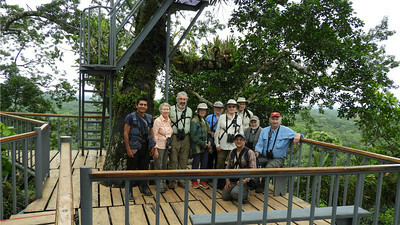 Moving to a different itinerary, let's join guide Willy Perez (kneeling) and his happy group of birders 100+ feet above the ground atop the marvelous Kapok Tower during our recent Amazonian Ecuador: Sacha Lodge tour. 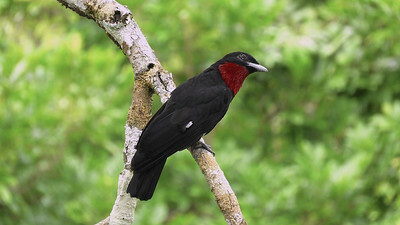 The elevated platforms allow for spectacular eye-level views of birds like this Purple-throated Fruitcrow. Photo by guide Willy Perez.